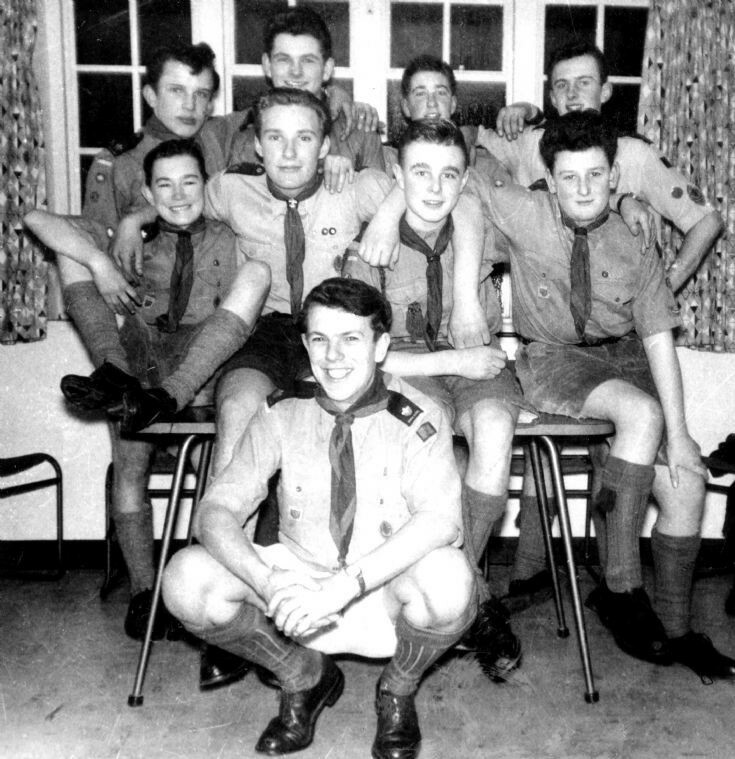 The photograph show many members of the 1st Slaugham Scout Troop at their headquarters in the old cricket pavilion on the Hyde estate. From the left, standing: Lionel Copeland (1945-2009), Barry Ray, Godfrey Parker (1945-c.2015), Chris Johnson. Sitting: Rodney Pattison (1945-c.2013), Mick Pateman, David Knape (1943-2003), Ron Verlander. In front: Assistant scoutmaster Tom Chamberlain. Select Open Document to view a newpaper article from 1978 reporting on Lionel Copeland who emigrated to Australia in 1962. With thanks to Bev Ansell for supplying the cutting. More news of Lionel can be found on picture #978.